My first stop was Isetan — it’s the giant department store attached to Kyoto Station. Fountain pens are waaaaay up (floor 10, I think) They have a small pen and stationary section, but nothing particularly interesting. There didn’t seem to be any limited edition anything… But if you’re in the area and want to pick up something at Japanese prices, not bad! Also, if you take the escalator all the way up, you’ll stop through several floors of random quirky stuff, like rocks with faces painted on for $15. 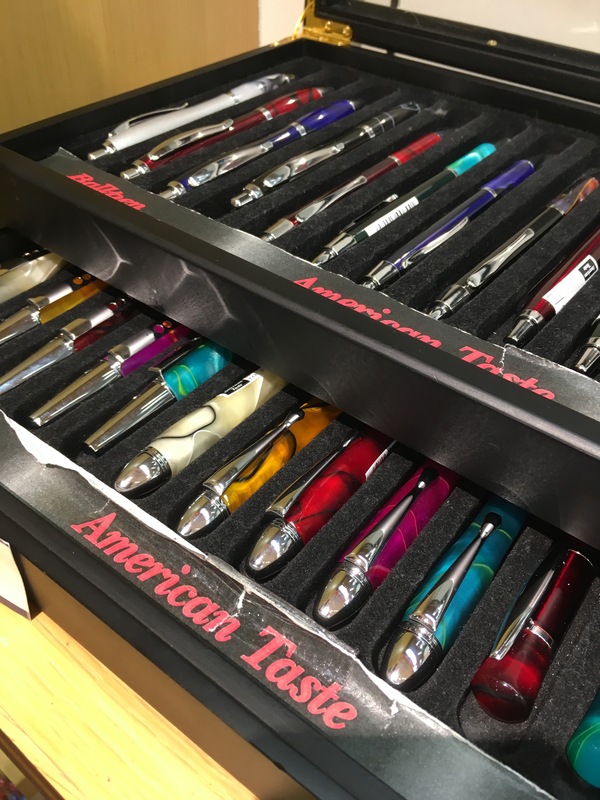 And a tray of “American Taste” pens on a side shelf. Hah. The other store I made it to in Kyoto was Tokyu Hands. If you’re unfamiliar with Tokyu Hands, it’s not a Kyoto-specific store — they have branches all over Japan, and some in Singapore too! 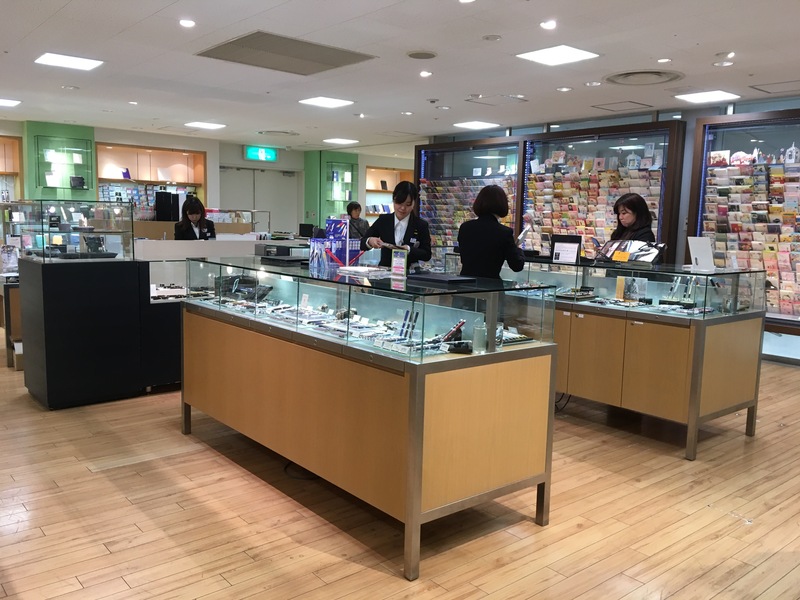 They sell a variety of things from cooking utensils to handbags to… fountain pens! The Kyoto branch is very close to Nishiki Warai, a well known shopping/eating street. 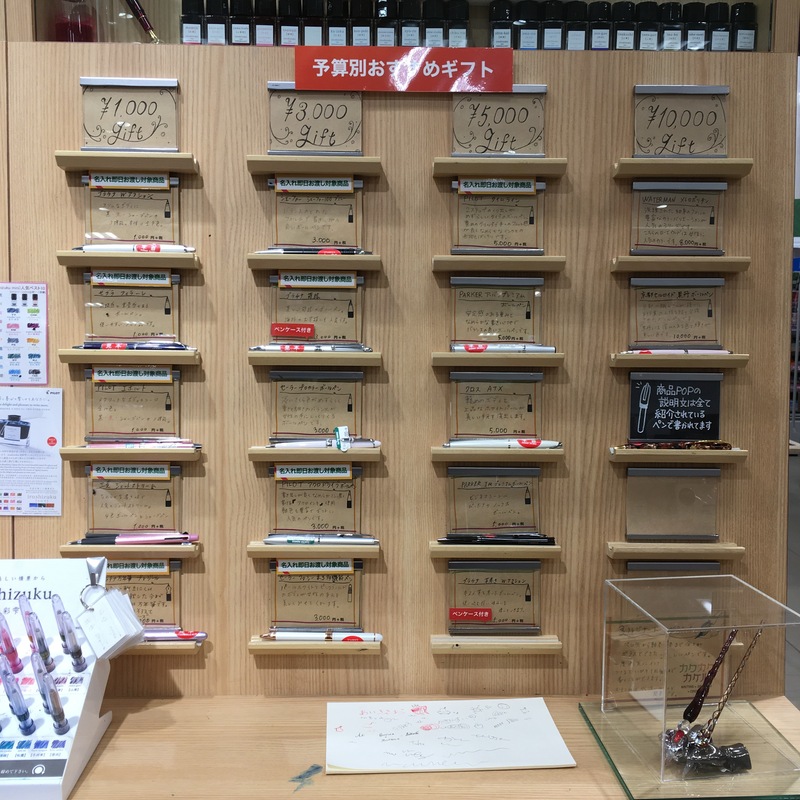 Tokyo Hands stocks a pretty generic selection of inks and pens — including ones at several price points, capping out at about $200. No Nakaya or Namikis here. But they also carry a solid selection of inks, no exclusives, but much more than a couple department stores that have seemed to only stock Pilot blue and black. In addition to many of the usual subjects, Tokyo Hands also stocks Kyoto Celluloid — I didn’t see this at other branches, but I’ve been told that the Singapore branch also stocks these. 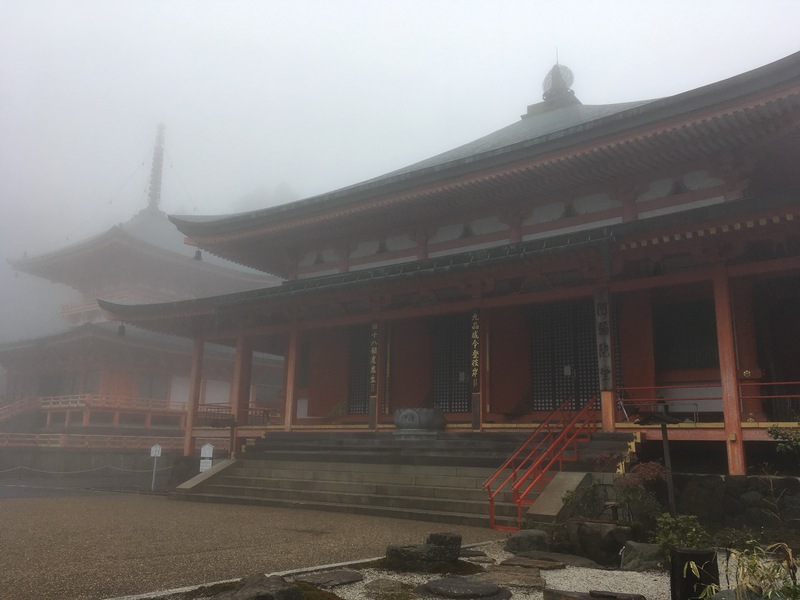 And, because I actually came to Kyoto to see temples, here’s a picture of one of the temples within Enryaku-ji, on Mt. Hiei. Kyoto was amazing, and I think there were a couple more ink places I could have stopped by, but priorities!